One should always make an attempt to live a life that he or she desires to have, desires drive you to achieve your dreams and dreams keep you awake even when you are fast sleep. The subconscious mind is always alert and keeps on making a note of thing that we may not observe or prefer to ignore and the other thing about the subconscious mind is, depends on your consideration of it is being good or bad, it remembers everything even when you forget it. Can this subconscious mind be the reason for problems in your life? Even worse, can it be the only reason for the problems in your life? One needs to understand and react to such situations in life as it is the only life that we have unless you believe in reincarnation, karma, life cycle, chakras, etc.. And if you are wondering why am I writing about these hypothetical (for some people) things then please read on. I recently read Ananya - A journey towards life, a book by the debut author Urmila Deshpande. 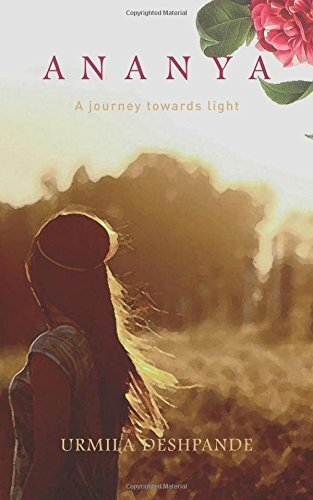 The book, as the tagline suggests, is about the journey of an individual, Ananya, in the search of life, the life that she thinks she is deprived of and is being controlled by someone else which in reality in not the case. Not only does Ananya harm herself and treat her entire life as a problem, but being the modern day courageous girl makes an attempt to know the actual truth of her existence and is adamant about solving the problems on her own. However, the problems that she faces are not the regular teenage problems that she has, but the problems that have directly hampered her day to day life making her sink in fear. The story is about Ananya, who was deprived of any form of affection and love in her life since her birth until she was adopted by one of her maternal aunts and even her grandfather considered her cursed and was of the opinion that she brought only bad luck to the entire family was responsible for the death of her own parents and all the bad things happening in their family. Ananya quickly grows into an intelligent, beautiful and a logical young girl who has felt love in her life only because of her maternal aunt and brother and this unconditional love showered on her makes her that the maternal aunt is her real mother. At the age of 20, she finds herself disturbed and surrounded by some unknown, mysterious forces trying to ruin her life; but instead of ignoring them and moving ahead in life she prefers to solve it on her own without involving her mother as she might get hurt. In the course of finding the truth, she comes across various occult sciences and takes help of them to solve her problem, whereas before being surrounded by the mysterious devil forces she was an atheist and this transformation also comes as a shock to her mother. Ananya thinks that she is possessed by devil forces, but in reality is being protected by loving divine energy, in the process of finding the truth, her mother also becomes a part of the search and helps her. There are several characters in the book, Ananya (lead character), Paulomi (Ananya's friend), Shobhana (Ananya's mother), Anand (Ananya's father), Sidharth (Acquaintance) and all characters play quite an important role in the story and are not there just for the sake of their presence. The extensive part of the story revolves around Ananya, Shobhana and their relationship. The narration of the story is quite gripping and interesting except for the last chapter in which, as a reader, I felt that the story just ended quickly, abruptly and was repetitive. The story motions around various occult sciences and theories like hypnotherapy, astrology, meditation, affirmation, kundali, paranormal, psychology, and one's belief in the divine power and the positive perspective of the same. Also, this isn't a book about spirituality. The story is written in first person with all characters narrating their part which makes it an interesting read too. The story is very simple yet engaging, fictional yet real, talks about negative energies yet positive and is a fascinating overview of believing in the divine and connecting with it other than being a viewpoint mystic observation. In a nutshell, it portrays the modern day women and their attributes of courage, confidence and love. It is a blend of heart touching story coupled with emotions, suspense, love and care. I would recommend this book to anyone who likes to read fiction. You can order a copy of the book from Amazon. 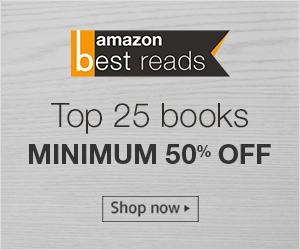 Published by: Frog Books, An imprint of Leadstart Publishing Pvt. Ltd.